The term ‘outsider’ often has negative connotations: these are the people who are regarded as ‘them’ in contrast to ‘us’, the arrivals from distant provinces or foreign lands, those not quite belonging, those not exactly fitting in, those not conforming. 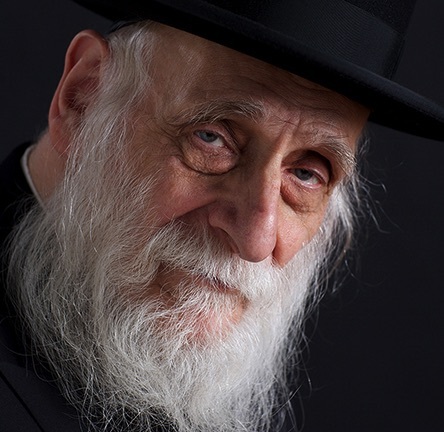 Of course, there is another side to this coin: there are those who stand out quite deliberately, who choose to go against the grain, the ones who challenge established social, cultural or religious norms, who question the policies and orthodoxies broadly accepted by those of us who are of the mainstream, who are ‘inside the tent’. This project aims to illustrate how many of us will experience the feeling of being an outsider at some stage in our lives; how some of us are labelled as (or feel ourselves to be) outsiders from the very outset but manage to turn this into an advantage, or perhaps just make the best of it; how some of us are crushed by the burden of being ‘on the outside’, while others grapple with it, grow stronger and, in overcoming adversity, quite often come to lead exceptional lives, making singular contributions to society. Outsiders in London, Are you one, too? forms the second part of Milan's London Trilogy; it aims to reveal something of the lives of 40 such individuals, who perceive (or have perceived) themselves as ‘outsiders’ in one way or another, and to celebrate both that they have survived and what they have achieved. It is also to be hoped that every one of us will recognise in some of these images, and life stories, a little bit (perhaps a lot) of ourselves or of someone close to us. You are invited to browse through the images / stories, either using the visual thumbnails index, OUTSIDERS, or via the textual index, TOPICS. The stories are often quite lengthy, so you might prefer to read them on a device with a larger screen. This project has a strong link to its predecessor project, 100 Faces of London, also shown in the Gallery in the Crypt, at London's St Martin-in-the-Fields, just before the 2012 Olympics; it too highlights the extraordinary diversity of people in London. This time, in Outsiders in London, a more explicit socio-political slant is revealed through the addition of substantial biographical information about each sitter - his or her 'story'. The final part of the London Trilogy, Londoners at Home, The Way We Live Now, is now complete and we hope that it too will culminate in a public exhibition during 2019 or 2020. 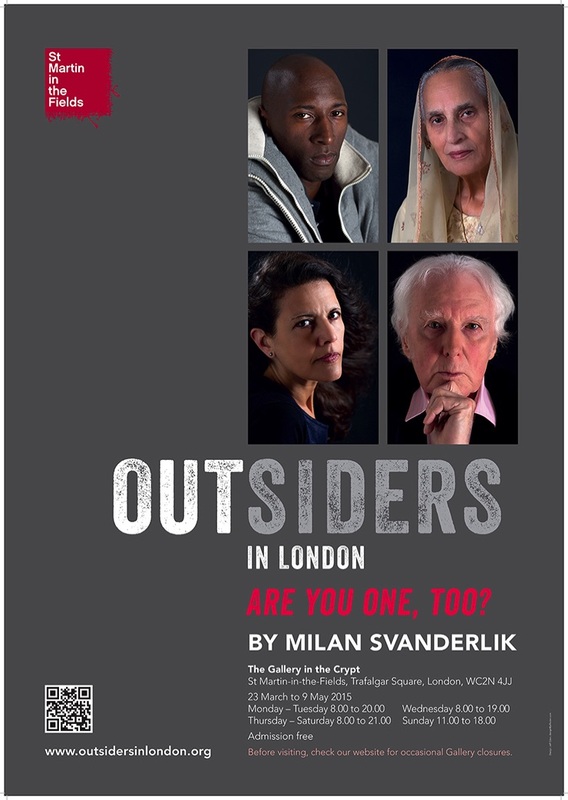 Outsiders in London was constructed over a period of twelve months, during 2013/14, with forty brave people volunteering to take part and making their way to Milan's temporary studio in Chiswick, where he spent several hours photographing and interviewing them. Sadly, a number of self-evidently important topics could not be addressed, as it proved simply impossible to find people with the relevant kind of experience who also had the courage or the inclination to take part – to some extent, this difficulty had been foreseen but despite every reasonable step having been taken (and many favours called in!) it was just not possible, within the resources available, to secure sitters with certain kinds of life history. The intention to include several well-known, high-profile individuals was realised with much greater success; despite being ‘outsiders’, these are people who have contributed a great deal to society in very public ways and who have become justly famous. Like its predecessor, an exhibition of Outsiders in London was mounted in the Gallery in the Crypt, at St Martin-in-the-Fields, Trafalgar Square, for a period of 7 weeks, from 23rd March 2015. The venue was highly appropriate, because the charitable work of St Martin’s is almost entirely focussed on the plight of outsiders, those who have temporarily or permanently fallen through society’s increasingly tattered safety net. The exhibition tried to demonstrate that the line between outsiders and the mainstream ( insiders? ) is sometimes fine indeed and that a few individuals may even find themselves on both sides at once. The exhibition was seen by more than 8,000 visitors. It attracted polemics and generated some strong disagreement: in one instance, one of the portraits was physically attacked. We invited visitors to leave their impressions and asked them if they themselves felt like outsiders at any stage in their own lives. These responses proved to be wide-ranging and they were transcribed and published on this website - for a direct link to them, just click on: VISITORS' RESPONSES. © The copyright of all the images and designs related to the Outsiders in London project lies with Milan Svanderlik, London, UK.